﻿ Should I hire a pro, or remove squirrels myself? USA Wildlife Removal Education Guide - Should I hire a pro, or remove squirrels myself? Hearing strange noises in your attic, discovering animal feces in the hidden corners of your home as well as two-inch holes and gaps in your walls or wooden installations in your home is definitely a sign of a pest infestation. But, once you determine that the pest is actually a squirrel, you might find yourself in a dilemma over what would be the right thing to do. We perceive squirrels as innocent, friendly and adorable animals. For this reason, you might be questioning the necessity of hiring a professional pest removal company and considering to remove the animal by yourself. After all, it's only an innocent squirrel. Despite the fact that squirrels can barely, if at all, classify under as dangerous creatures, there are a few facts for you to consider before making your decision. By nature, squirrels are fragile, sensitive and easily scared. It is very unlikely that you would be able to chase one of them down on your own because they are swift, precise, and excellent climbers. 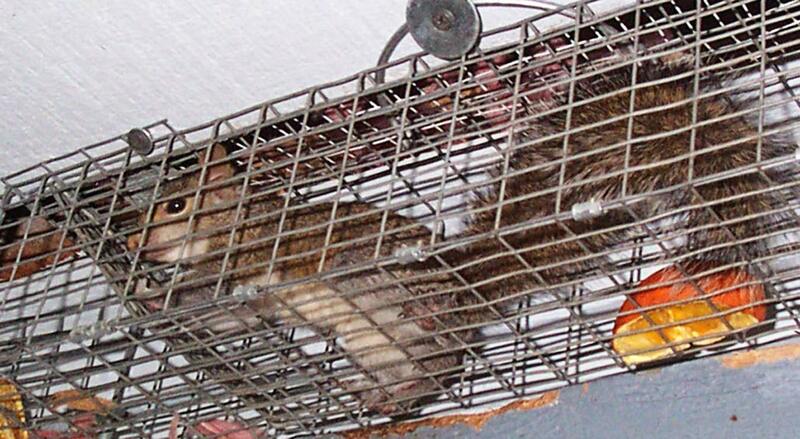 Even if you manage to trap a squirrel using a one-way-door trap, it is likely that the animal would become extremely scared and turn aggressive once you try to remove it from the trap. In many areas, squirrels are an endangered species, thus protected by law. The fast and extensive development of the urban environments has left a large number of these animals without their natural habitat because clearing the terrain for building meant the devastation of forests and cutting down trees. For these reasons, there are chances that, in the city you live in, squirrels are protected by law. This means that you are not allowed to harm them in any way. Since do-it-yourself pest removal processes often result in the injury to the death of the animal, you can see why it would be as risky for you as it would be for the animal. One of the dangers of amateur pest removals is failing to identify the number of animals that have infested the territory. You might spot only one squirrel, but that doesn't mean that the squirrel hasn't already given birth in your home, leaving behind more squirrels. If this would happen, and you would remove the mother from your home, the litter would most probably die, and as the squirrels would be rotting in your home, they would be posing a sanitary threat, as well as a legal issue for you in case you are living in the area in which squirrels are protected by law. Taking these facts into consideration, it would be, by far, the best thing for you to hire a professional animal removal company to take care of this problem for you. By doing so, you are not only protecting your own health, by removing the danger of being bitten and possibly infected, but you are also doing a humane thing to the animal, by making sure that it will not experience unnecessary harm and you will not break any laws in the process. Go back to the main Squirrel Removal page for more information about Should I hire a pro, or remove squirrels myself?.